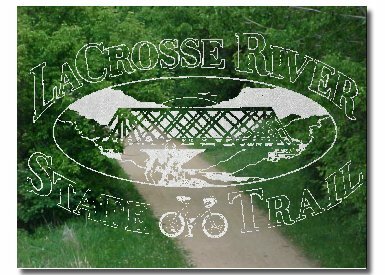 This website is maintained by La Crosse River State Trail, Inc., a nonprofit organization which supports the state trail financially and through volunteer activities. The Wisconsin Department of Natural Resources owns and operates the trail and its official website. Western Wisconsin offers the best trails in the Midwest & the La Crosse River State Trail is in the center of it all! The La Crosse River State Trail has been developed from abandoned Chicago and Northwestern Railroad between Sparta and La Crosse. Prairie remnants, farmlands, trout streams, hardwood forests and wetlands are found along the trail. Packed limestone screenings provide a smooth riding surface. The bridges have planked floors and railings in place for riders safety. A new bridge (1998) at Medary crosses an active rail line running parallel to the trail. This bridge connects the La Crosse River State Trail to the Great River State Trail. Celebrate the seasons and learn about the prairie plants of the season including downy phlox, hoary puccoon, columbine, violets and great Solomon’s-seal. 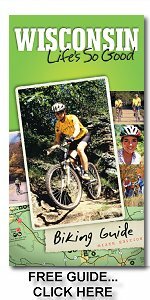 Campgrounds and public parks are located in or near villages and cities adjoining the trail. A special access trail leads to Veterans’ Memorial Campground, two miles west of West Salem. The scenery and terrain of the Coulee Region have made it a popular attraction, and now with increased interest in snowmobiling, this is an ideal combination. It all happens on the La Crosse River State Trail and surrounding trails, well marked and maintained by local snowmobile clubs. Whether you enjoy biking, hiking, snowmobiling, cross-country skiing, or nature watching, the La Crosse River State Trail, which runs parallel to the La Crosse River, offers something for outdoor enthusiasts in every season.